They don't teach you about the first men on Mars in History class. Not details like that, no, but they do teach you about the current world and what might change in the near future. In my schools those things were always discussed in subjects outside of history. To back in topic, when this site was published and what version of SE was at that time? SpaceEngineer's registration date on the forum coincides with the release of 0.93. More than that I don't know. This is practically photorealistic! It's like a real photograph of a planet! Absolutely amazing! EDIT: I will say that there's a certain simplicity about that picture which I find interesting. It kind of makes me think of the evolution of someone's art skills. As a young child, you use bright colors and make simple kinds of shapes. As you get older, you start to do things neater, and add more and more detail. By the time you're an adult, you've had tons of practice, and you're making amazing works of art. I suppose this sort of metaphor could be applied to space engine itself; you could say the program's matured since then. I will say that there's a certain simplicity about that picture which I find interesting. I suppose this sort of metaphor could be applied to space engine itself; you could say the program's matured since then. I can try Also, there are only <900 confirmed exoplanets at present, and only some of them have wiki articles. But yeah, most likely I'll make about 20 and then lose my focus. For me, Space Engine is obviously a piece of art, and SpaceEngeener an artist. Among a lot of utility programs we can found on the web, some programes, mostly games, should be considered as pieces of art, if their purpose is to make us dream. The purpose of SE is build an entire procedural universe, and creating new things is the work of an artist. From the beginning of SE, when it was just a "second celestia" to now, we have seen the construction of a masterpiece (SE has won the 1st place on this space programs comparison.). I always believed that computer science is an art itself, and programs are pieces. 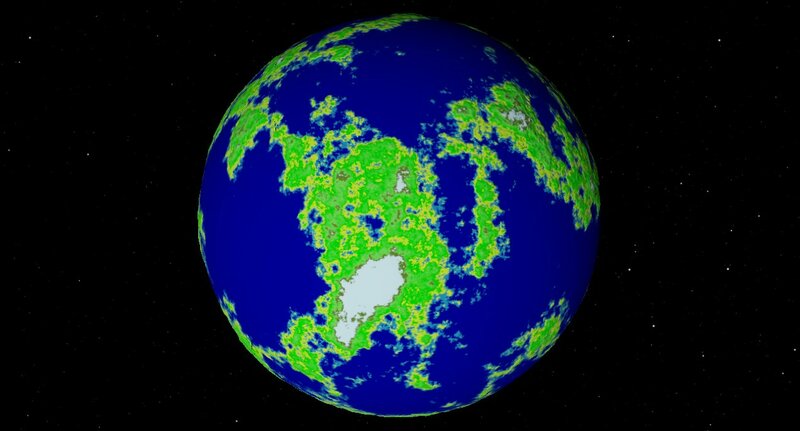 I found a working link for a SpaceEngine 0.90 download! Hey, what a nice little planet! Let's edit it... oh... didn't expected that. 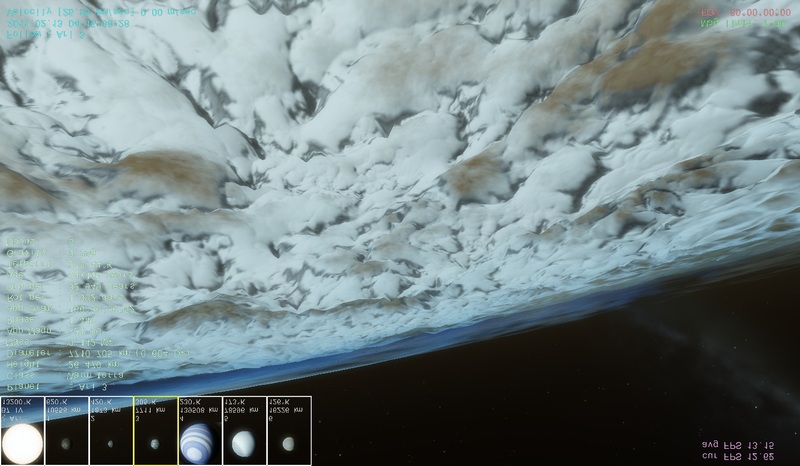 EDIT: (reversed) screenshot of Space Engine 0.90!